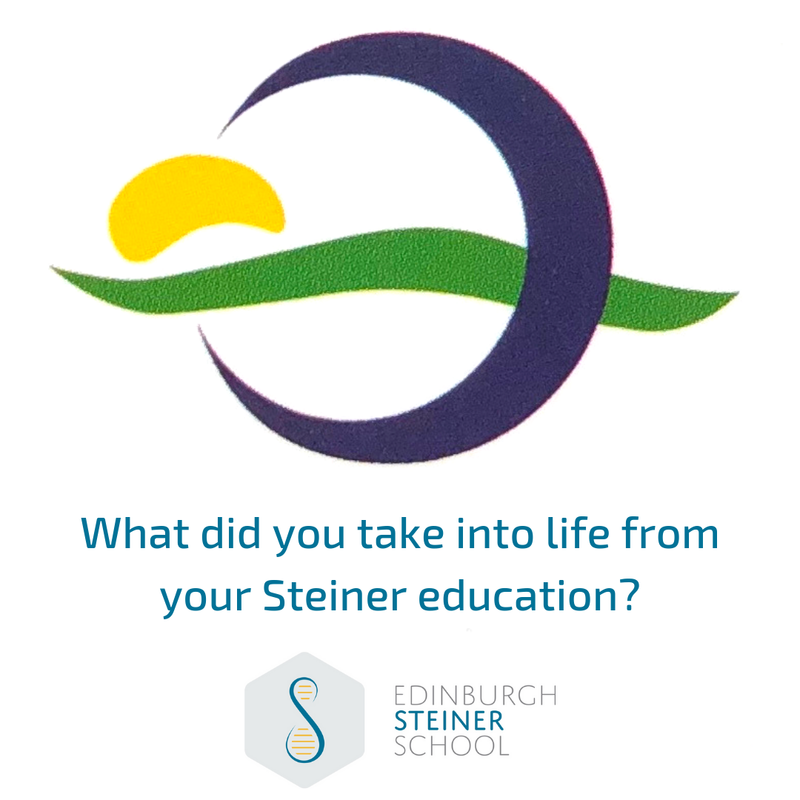 We welcome our Alumni to the school for a celebration of 80 years of Edinburgh Steiner School. 2019 is a double milestone year for our school – marking eight decades since Dr. Pelham Moffat opened the gates in 1939; and the Centennial year of Steiner Waldorf education worldwide – now with over 1,100 schools on every habitable continent, and 2,000 Kindergartens. As part of these celebrations we are founding an Alumni Association and would love to invite you to our upcoming event for our former pupils, teachers and parents. We are putting together a special assembly for our former pupils, teachers and parents – with performances from individual classes, as well as an extract from this year’s large-scale Oliver! production, a sample of our Upper School’s Acapella group, music by the school orchestra, and more. We will break for refreshments before heading on an Open Tour, venturing into classrooms to witness the curriculum unfold. The whole school is coming together on the lawn at lunchtime to celebrate the school’s birthday. Alumni are warmly invited to join the bring-and-share Garden Picnic Party (1:00pm – 3:15pm). We have dedicated this afternoon to reunions, with Garvald Farm offering to put on a bakery of homemade organic sweet treats for any class that would like to meet up on campus from 2pm-5pm. (It is an exam morning in the hall for the Upper school, with a fully-booked open tour for prospective parents visiting classes too; however being a short day for many of our Lower School pupils, several classrooms can host get-togethers. Please get in touch if you’d like to reserve a space, or join a reunion). There will be bubbles, canapés and freshly shucked oysters from The Oysterman (a former pupil’s venture) on arrival. Elise Cartmell – Chief Scientist at Scottish Water, talking about her work towards ending fossil fuel consumption by 2020 and how her ten years of Steiner education helped her to provide alternative perspectives to challenges. Vixy Rae – the first female member of The Incorporation of Tailors of Edinburgh – a body which dates back more than six centuries, will be reflecting on what it means to choose an education for your child as she watches her son become one of the greenest alumnus. Gordon Reynolds – pupil of internationally celebrated projective geometrician and astronomer Lawrence Edwards, turned Chemistry teacher, Guardian, Trustee and parent – with 39 years at the chalk- face – will give a few reminisces from almost all corners of school life. Shirley Knoakes – one of the first 8 pupils back in 1939, who has gone on to make the school her life’s work, and is still an active teacher, will explore the school’s rich history from its founder, Pelham Moffat, to today. Benny Tetteh-Lartey will be treating us to an acoustic set from his recently released second album, featuring his own invention, the beautiful sounding Combuitar. We will also hear from Elaine Holt about the school’s groundbreaking future, piloting an innovative suite of qualifications that are the product of a collaborative three-year Waldorf project: Acknowledging Creative Thinking Skills, which has Nobel Prize Winner Thomas Sudhof as Patron; offering an alternative passport to further education and work that have traditionally been exclusive to examination assessment. A quadruple milestone year for our school, alumni will also be given the opportunity to not only visit old classrooms, but see our 18th Century coach house being converted into 21st Century classrooms and craft studios that broke ground at the beginning of the year as part of our ambitious Growing Spaces Project. Please spread the word with your fellow alumni. We would love to connect with you even if you cannot make it to the above events. Please sign up to our Alumni Association to keep in touch about all future developments for this exciting, growing network.